With their cedar shingles, metal guttering and substantial legs these front porches can add a lot of character to the structures. Finish Room is standard cladding. 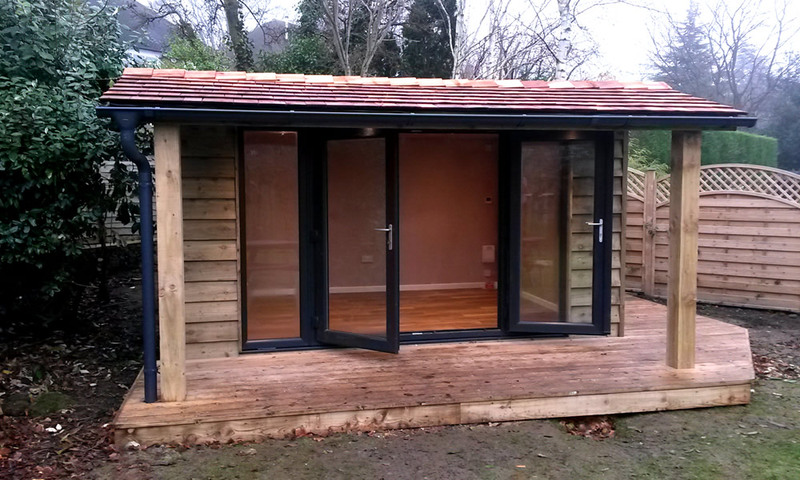 Porch is cedar shingles with tanalised posts, Grey coloured metal guttering. Description 4m x 3m is a common size for our rooms and can suit a range of uses. 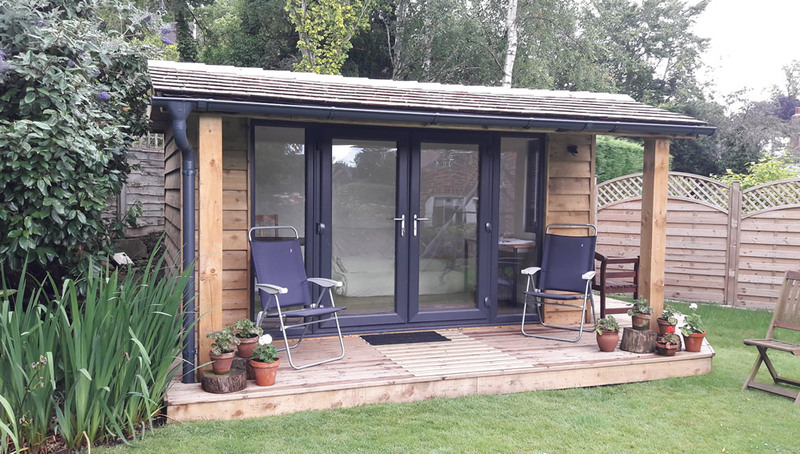 This room is a multi-use space and with the decking and porch, can definitely be used all year round.